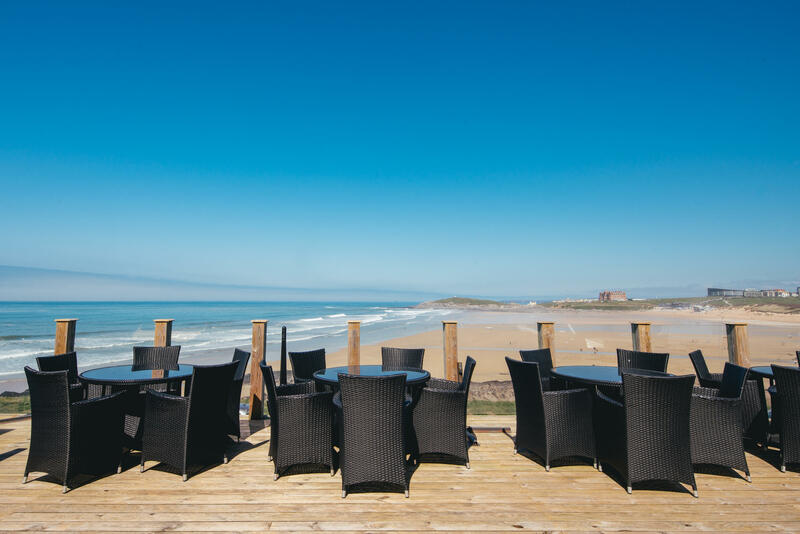 Just off the iconic Fistral Beach, Dune Restaurant is one of the best restaurants in Newquay and offers incredible views of Cornwall with world class surf right outside. Our menu changes regularly along with the wine list to ensure that we are getting the very best in local fruit, seafood and vegetables. We serve everything from gourmet burgers to succulent steaks, delicious desserts to the best of the bay. 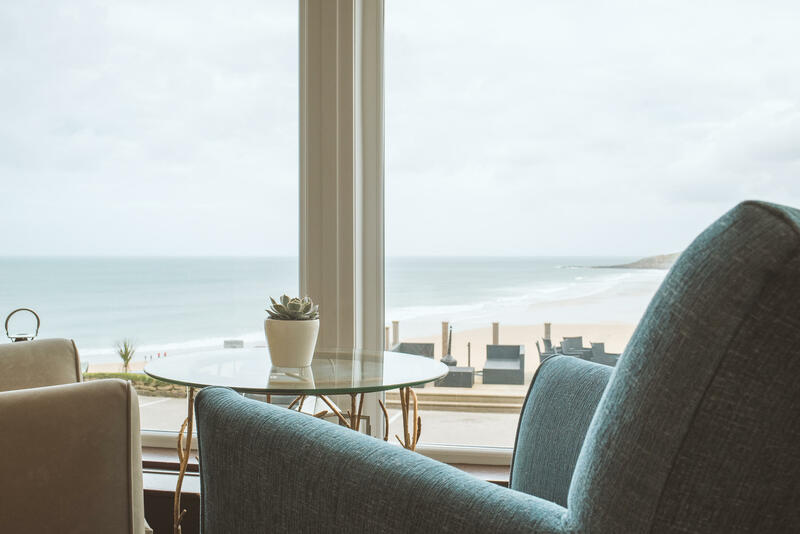 We’re passionate about food and our dedication, skill and knowledge results in a menu and a dining experience which reflects the restaurant’s ambience - relaxed and very much rooted in its ocean side location. Well done to the Restaurant Team. Thank you for making our stay such an enjoyable experience. Had a lovely meal. Food and table service was fantastic! Excellent service and delicious food with an awesome view! Overall good food and service. It was unfortunate that it took so long for our coffees to arrive (after the afternoon tea arrived) and we had to ask the staff for plates so we could actually eat our sandwiches and cakes (I didn't want to eat them straight off their tables). Sandwiches and cakes were nice. Lovely food and friendly and attentive service. Mateusz (sp) was excellent. The food was returned due to a hair in it and mustard on the sandwiches after requesting no mustard. A long wait for food-35 mins. Asked for more tea-never got any. A hair in the sugar bowl, lipstick on a ‘clean’ cup. Bin in toilets overflowing with tissues. Bar staff didn’t seem interested. Some starters were very small, e.g. the salmon starter whilst the soup starter  which my other half ordered was very large. So there were some inconsistencies here although all tasted good. I pre-booked a table for two with sea view at 'The Dunes Restaurant' today (Mothers day). On arrival we were shown to the Bay Bar, where we were seated at a very small round side table. I asked if we could move to one of the empty larger tables with a view, no problem he said. We then Sat looking puzzled for 15mins while the waiter got our drinks. Unfortunately the waiter did not know the difference between red and white wine and seems completely confused as to why were there. After another 15mins without attention I returned to the reception to ask why we hadn't been given a menu yet. Almost immediately the waiter came over and gave us a bar menu, I asked were we not to be seated in the 'Dune restaurant' as booked, and where was the restaurant menu. He replied, we are a little busy today so we would be dining in the bar. I said this was totally unacceptable for a special mother's day treat, so he went away and got a more senior member of staff who informed us that they were only serving 'spa package customers' in the restaurant today and could not cater for us even though we had booked for dinner. We left feeling so very let down. What a poor show from a so called quality establishment, the day was ruined and one my better half will probably never forget. Absolutely fantastic food, it really was amazing. The service was also fab, very welcoming and polite. It was our first time visiting but we will definitely be back! The only tiny downfall for me was that it was quite chilly and drafty in the restaurant but other than that I can't fault it! The view was fantastic! The afternoon tea was nice, really liked the fresh scones. Enjoyed the relaxing atmosphere. The service left much to be desired unfortunately. Pre-booked afternoon tea though had to wait half an hour at which point I went to order at the bar as nobody had come to the table. It then felt we had to wait again a long time before the tea arrived. When the food came, there were no side plates for us to eat from, nobody came to check how we were enjoying the meal and we didn’t want to have to go back again to request the side plates. In the greater scheme of things this isn’t the end of the world but when you’re spending a considerable amount of money to treat a relative for their birthday, there are just some expectations regarding service. More style over substance I'm afraid..the service was absolutely outstanding no problem at all. The food tasted good and it is a shame that the chef wanted to try and be a bit too fancy. All we wanted after a long walk was comfort food - a bowl of pasta and a cheesecake not a deconstructed cheesecake that was all.about how it looked. A shame as had real potential. General manager was rude over dinner but when it was mentioned other staff were very attentive and professional. Food was very good. Great steak. Thank you for a lovely lunch! We enjoyed our food and drinks which were presented beautifully! You had plenty of vegan choices and your staff understood our dietary needs. We will be back! Hotel is lovely but the restaurant is a disappointment. Food is overpriced and underwhelming. There is a complete lack of ambience. It was raining so we chose to eat in the restaurant but it was a mistake .